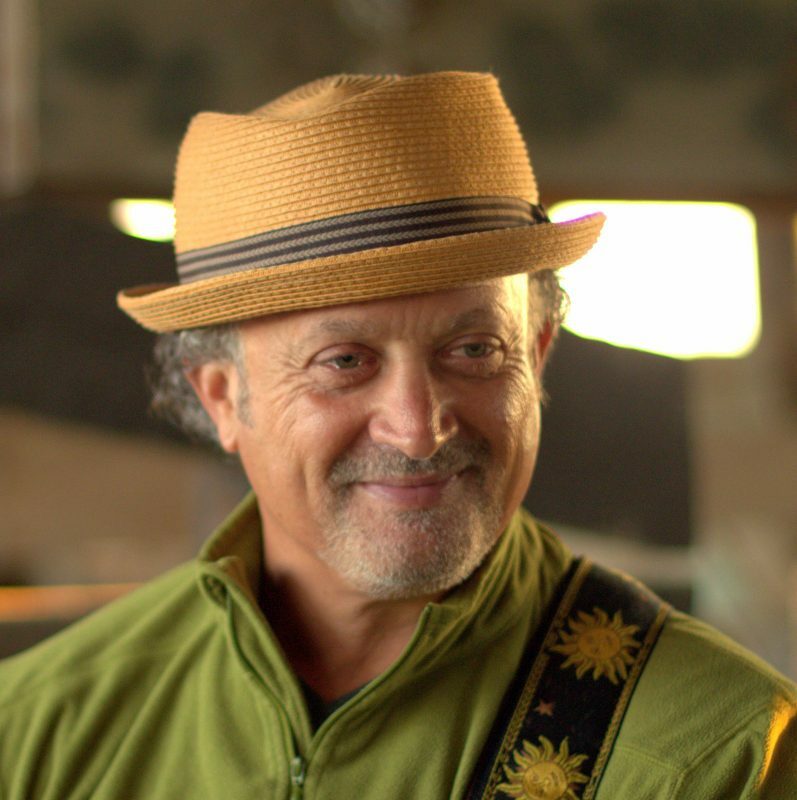 Kirk Mann – Interview | The Ark of Music – The best music in the world…you never knew existed. 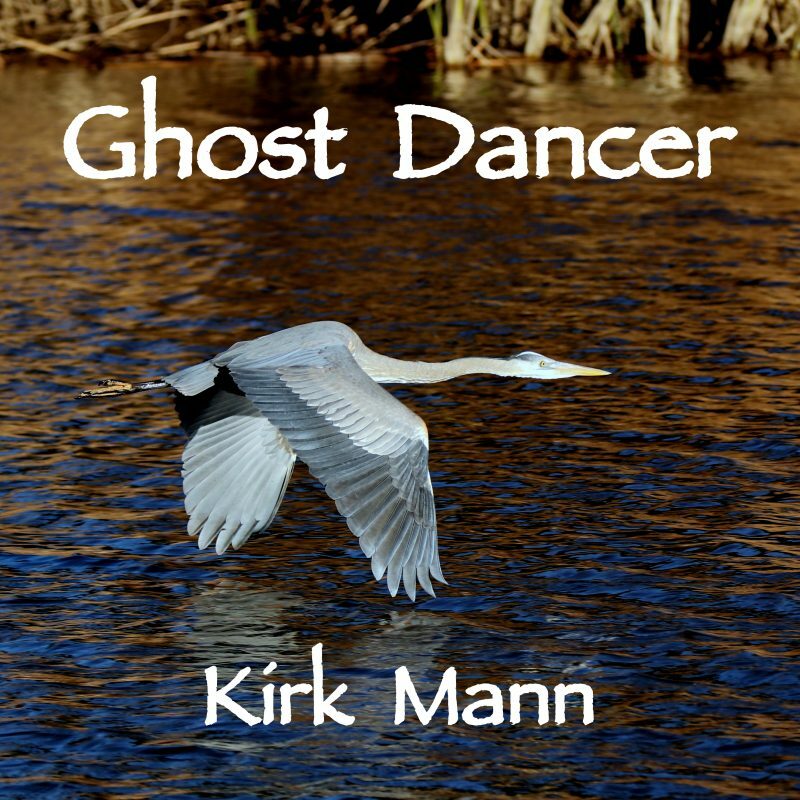 Below, you can read our interview with Kirk Mann, and listen to music from his album, Ghost Dancer. Check out our full music review of Ghost Dancer, HERE. Q: You were born on Sunset boulevard, in Los Angeles, CA. You MUST have some good stories to tell about how that place inspired your musical vocation; can we have one? A: It just sounds so good, to be born on Sunset Blvd. Which is true. However, I grew up in the San Fernando Valley, which was mixed suburbs and orchards at the time. Makes me think of Tom Petty’s, Free Falling. We were not that far from Ventura Blvd. And now, I live in Ventura, California. Life is a circle. My folks ran a nursery school and day camps for kids. I actually grew up at Camp Funtime. We lived in a ranch style house in front of the camp on a 6 acre parcel. Our summers were packed with kids and counselors. Some of my first tunes were written for kids. Q: Your father gave you an ole’ abandoned guitar when you were 18. Was that your first guitar? What kind of guitar was it? Do you still have/play it? Was this gift from your father the impetus to becoming a musician? A: It was an off name Japanese guitar, but I remember it had a mahogany body and a great sound. I wish I still owned it. Yes, it was my first guitar. I was 18. My dad recognized my appreciation for music. I don’t know where he actually found this abandoned guitar. I remember buying songbooks at the time like: Cat Stevens made easy, or Neil Young made easy. I played until my fingertips bled. I loved to sing and play my favorite songs. Q: You’ve got backgrounds in Chinese medicine, plant medicine, shamanism, mysticism, nature photography, and you also have a regular meditation practice. Is your full-time profession involved with any of these? Conceptually, these all share a common thread in that they signify a “search” of sorts, or perhaps a different brand of “awareness” if you will. Can you tell us what has led you down this consciousness-centered path? Has the music informed the path; or has the path informed the music? Is it both? A: Music is a gift from a mysterious space. It has always been a healing salve from my earliest memory. I am deeply grateful to all the artists who contributed to the soundtrack of this life. My full time profession is Chinese medicine, acupuncture, herbal medicine for 23 years. I was drawn to a mystic from North India when I was 23 years old, initiated into the Yoga of the Sound Current (a.k.a., Shabd Yoga). Yes, you nailed it, the search continues. The search for awakening, enlightenment, opening portals of perception. The search for meaning and understanding. Perhaps one thing I know, I am grace dependent. Q: Ghost Dancer is your 5th album! While slightly different thematically and musically, the general vibe, intention, and overall sound seem like a natural progression in relationship to your previous four albums. How did your intentions for this album differ from the previous four? Do you set out to tweak your sound, or, do you simply let the sonic cards fall where they may? A: This album came into being while California was burning in December 2017. I live a few miles from the epicenter of the Thomas Fire. My house was relatively safe, but houses were burning to the ground a few minutes from where I live. There was an intensity and the fire was unrelenting. It was like a war zone here for weeks. I didn’t have a clear intention. Time opened up and I started recording at Castaway 7 Studios in Ventura. However, three songs were influenced by Native American stories: Ghost Dancer, Fire in the Snow, and Island of the Sun. This album roams a bit stylistically. One thing I clearly wanted was to get a groove and tempo that wasn’t dragging. I am experimenting with remixing two of the tunes as I write this. The challenge is to create a modern/contemporary sound as a singer songwriter. Q: How long did Ghost Dancer take to record? Were there any big surprises during the recording process? 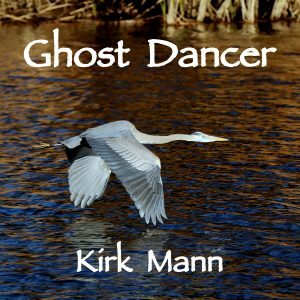 A: From start to finish, Ghost Dancer, took about 3 months. The title track itself is the surprise, dropped in at the beginning of the recording process. I had some great artists that played on this album. The other surprise is songs I chose to record. Two Be Two was written maybe 12 years ago, but I never felt to record it until now. Thy Music is a chant I learned when I was 20 and never forgot. That song just popped into the recording process. We used some tambura music and viola around the lyrics. Music, for me, is largely intuitive. I have not been formally trained. A: I would love a great artist to cover one of my tunes, and license songs for TV and movies. Perhaps I would be asked to write songs for commercial purposes, and/or an invitation into co-writing sessions with gifted songwriters. Great question! A: HA! First guy who comes to mind: Dave Matthews. A: Impossible question! I will have to go with: Crosby, Stills, Nash and Young – SO FAR. Epic album of those times. There are 1,000 more. A: I am going with Stevie Wonder on this: Higher Ground. I saw him at the beginning of this year at the Staples Center in L.A., raising toys for kids. He is a musical superpower! A great being. I will list 10,000 other songs later. A: I am keenly aware of many incredibly talented songwriters and performers. There is an impulse to not create—and stick to being a good listener. Then, there is the bliss of creating, come what may. It can be very humbling and ego-crushing sharing ones art. I hope to write a great tune in this life or the next! I am fortunate to not depend upon music for survival. A: Special remembrance of Ryan Thomas who played trumpet and flugelhorn on Walk Away, 994 MPH, and Crazy. He passed away suddenly in an auto accident shortly after we released the album. He was a really talented local horn player, 35 years old, terribly sad loss. Shout out to Jp Hesser who engineered the album. James Dorward on drums and electric guitar. Grateful to James for keeping the groove. Maria Griforyeva on violin and viola from St. Petersburg, Russia (amazing!). Charles Berthoud on bass (incredible!). Josh Plotner on bansuri flute. My daughter Jenna Mann and Shelby Figueroa killing it on vocals.